ABC/Randy Holmes(LOS ANGELES) — Jordan Peele is reportedly ready to take on another classic horror film. According to Bloody-Disgusting, Peele is in talks to produce a remake of Candyman. The original 1992 Bernard Rose-directed film was based on a short story by Clive Barker and starred Tony Todd as the infamous Candyman — the son of a slave who became an artist was later mutilated and killed by his lover’s father. The story’s urban legend states that if you say the Candyman’s name five times in a mirror, he’ll appear and kill the person with use of his hook. The film, which grossed over $25 million and produced two sequels, has lived on as a cult horror classic. 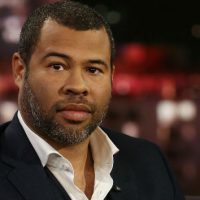 If Peele does take on the film, this would his latest work on his growing list of projects, which includes his upcoming film Us and his The Twilight Zone reboot, expected to debut early 2019.